The role of maintenance departments is becoming more essential than ever as infrastructure ages, budgets tighten, and asset management takes centre stage. But pen and paper, Excel, and even on-premises software aren’t cutting it as the primary tool for maintenance management anymore. 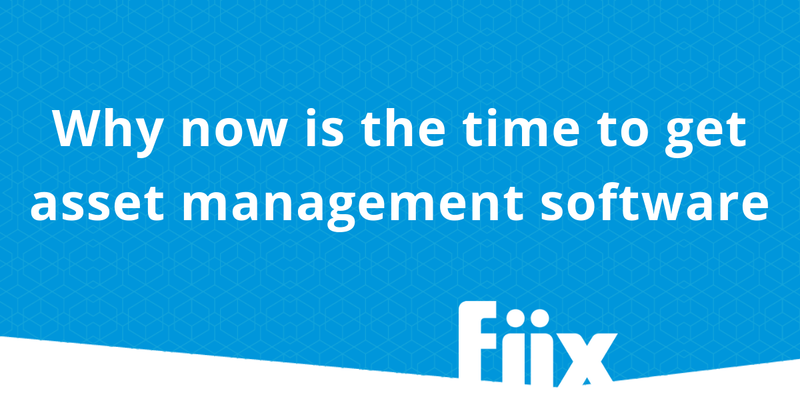 These systems are inflexible and just can’t adapt at the speed that cloud-based asset management software can. We talk a lot about how complex modern infrastructure is necessitating high tech solutions like maintenance management software. But in some cases it’s actually the exact opposite that’s spurring high adoption of maintenance and asset management software solutions. Infrastructure—especially in asset-intensive industries like energy and manufacturing—is aging and it’s not always realistic to update it. This means that more and more organizations need to figure out how to work with what they’ve got, and these organizations are increasingly looking to their maintenance departments for solutions. The software helps organize and schedule maintenance. Maintenance gets more complicated as an asset ages, so keeping track of it is essential. Rather than mucking around with Excel sheets and Outlook calendars your CMMS is a go-to source for an asset’s history. It can act as a repository for manuals, schematics, and directions. As infrastructure ages, the likelihood of misplacing important documentation grows, so putting that info into a CMMS off the bat helps save valuable minutes when something goes down. It can help you spot trends. If you’re making the same repair every other day, then there may be a deeper problem. Maybe that asset has reached the end of its operational life, or maybe the technician needs a quick training update. Either way, the asset management software gives you the oversight to see these issues before they evolve into bigger problem. According to an auto industry survey commissioned by Advanced Technology Services (ATS), downtime costs auto manufacturers an average of $22,000 per minute. And these are old numbers. The survey has been kicking around since 2006, and productivity demands have increased dramatically in the last decade, with the cost of downtime increasing in tandem. Maintenance is the biggest defence against these costs. Asset management software helps establish a preventive maintenance schedule, and helps technicians stick to their scheduled PMs. This helps avoid unscheduled downtime and any loss of productivity. Having a maintenance management app that you can carry with you in the field is no longer optional. It lets you find and manage parts in an organized way, enter meter readings on the go, get access to instructions and manuals, and (most importantly) submit work requests and close work orders remotely. It lets you react faster when something goes down. An app sends notifications straight to the technician, so they can get started on a repair ASAP (with all the necessary information at their fingertips). It lets you spend less time logging work. Data entry isn’t your full time job, and a maintenance management app lets you update work orders as you go, rather than having to dash back to a computer terminal to log work at the end of the day. It helps keep track of everything. Small tweaks and adjustments that your team does on the fly add up in the long run, both in terms of time and money. An app helps you get a clearer picture of all maintenance done in your facility.